Many country artists recording a religious album tend to include a fair percentage of hymns and other wellworn gospel tunes. Tracy took the more adventurous path of picking all-new material. The range and quality of the songs, unfortunately, is less ambitious. He produced with Julian Lord, and released the record on his own label, Rocky Comfort Records. Tracy wrote one song with longtime collaborator Flip Anderson, the opening confessional ‘Dear Lord’, which is okay but comes across more than a little cozily self-satisfied. Tracy’s own past well-publicized misdemeanours would seem to provide him with the real-life experiences to make a convincing job of much meatier material touching on sinners’ salvation. The production is a bit busier than necessary, but this song has a weight and depth too often lacking elsewhere. Even better is ‘Up To Him’, a somber song rooted in real life written by David Kent and Tim Johnson, about dealing with hard times and the fear of worse, which is my favourite track. The narrator hedges his bets a little by combining prayer with his own efforts to get a leg up. Who knows what’s going to happen in the end? The song was released as a single, and although it didn’t crack the top 40 did fairly well for a religious song on an independent label, peaking at #47. The less successful follow-up single, ‘Somebody Who Would Die For You’ briefly narrates the stories of a homeless veteran, a neglected old father, and the victim of a school shooting. It is movingly sung, although the stories are a little disjointed and the strings swamp the arrangement. ‘The Book You Never Read’ slows things down quite nicely, as Tracy takes the voice of the Bible addressing a troubled soul. The similarly anthropomorphic title track is the story of a Savannah church, set to an attractive tune, led into by the churchy strains of an organ; a choir comes in effectively and appropriately on the last chorus and this is nicely done. These are both pretty decent songs. Of the less memorable material, ‘Jesus Come Talk To Your Children’ also has gospel backing vocals, but is a bit shouty and demanding. ‘Say A Prayer’ is about prayer in difficult situations (alcoholism, cancer) and is clearly sincere, but heavy-handed and sentimental rather than having a clear message. ‘I Know Where Heaven Is’ and ‘Every Prayer’ are pleasant but forgettable. This isn’t the best religious album I’ve ever heard, but it’s not bad. 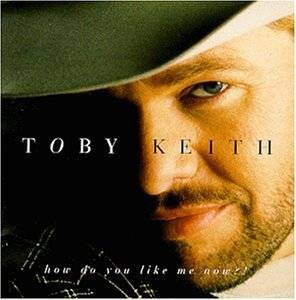 Used copies are available quite cheaply, so it’s worth picking up if you like Tracy Lawrence and religious material. I was adopted as a baby, and because of that the subject has always drawn me in fiction. In fact I’ve read some really bad books and watched some bad TV purely because of the topic. One of the things I appreciate most in country music is the range of topics it covers, and I feel inspired to bring together some of the best songs I’ve heard over the years on the subject of adoption. Actually, one area that seems a bit lacking is songs about the experience of the adopted child. One of the few that does start from that point is Jeff Bates’ autobiographical ‘Rainbow Man’, title track of his 2003 debut album. Although the song goes on to talk about race and the American melting pot, I definitely identify with Jeff’s questioning of his identity. Moving on to adulthood, I love the story song ‘Cactus In A Coffee Can’, a delicately realized third-person tale of a plane encounter with a young woman who has been reunited with a drug-addict birth mother just before the mother’s death. I first heard it ten years ago from Jerry Kilgore on his Love Trip album on the short-lived Virgin country imprint, and it was beautifully revived by the excellent Melonie Cannon on her most recent album, And The Wheels Turn. You can check both versions out on last.fm. There’s also a version available by Steve Seskin, who co-wrote the song with Allen Shamblin, where his more fragile vocals add a certain vulnerability.